ANZBA is committed to providing and disseminating expert advice and education for health professionals involved in the care of the burn injured, both locally and internationally. Informed care will improve patient outcomes. Using our expert clinical network, over 20 Emergency Management of Severe Burns (EMSB) courses are held each year throughout Australia and New Zealand. 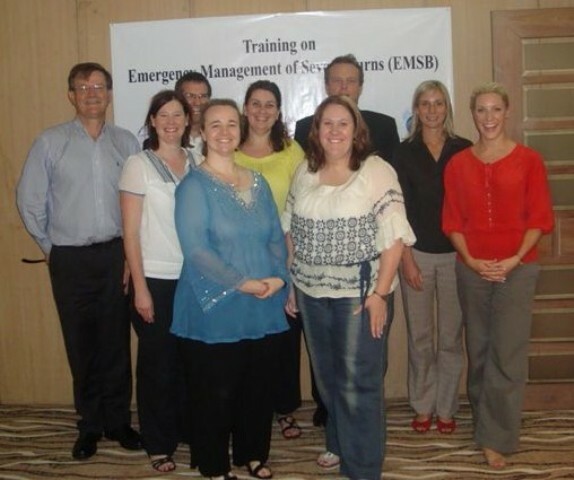 EMSB which was developed by ANZBA in is now available in 17 countries worldwide. In addition we provide on line educational opportunities and a Journal Club in collaboration with the Joanna Briggs Institute. ANZBA is happy to work with clinicians/organisations to tailor educational needs. Contact ANZBA for further information.